Welcome! 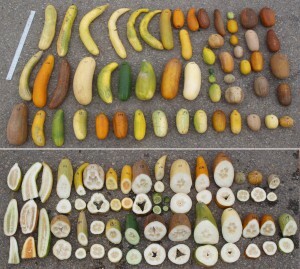 You have reached the Cucumber Genetics, Genomics and Breeding Laboratory. 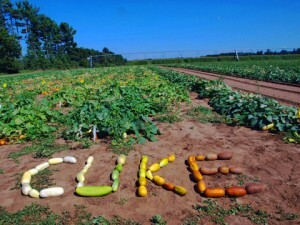 The Cucumber Genetics, Genomics and Breeding Laboratory is part of the USDA ARS Vegetable Crops Research Unit (VCRU) in the Horticulture Department at the University of Wisconsin – Madison. Our lab is associated is with USDA-ARS, National Program (NP) 301: Plant Genetic Resources, Genomics, and Genetic Improvement. The mission of this program is to furnish genetic, genomic, and bioinformatic tools, information, and genetic resources to enhance American agricultural productivity and ensure a high quality, safe supply of food, fiber, feed, ornamentals, and industrial products. Specifically, the Cucumber Improvement Program aims to understand the genetic basis of traits important for growers and customers and to develop enhanced germplasm using classical and biotechnological approaches.